***WARNING*** This post contains photos that some people may find confronting. Backyard breeding and puppy farms are a big problem all across the world when it comes to puppies. And not just pug puppies. Puppies of all breeds. But there are some breeds that have become worse off because of backyard breeding and puppy farming. 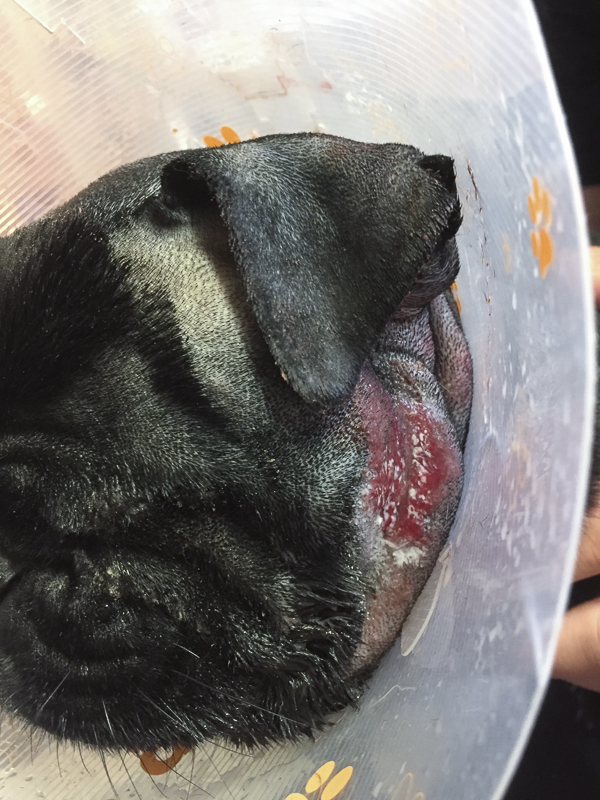 Any of the squishy face breeds should not be bought from someone other than a reputable breeder, especially pugs. You should do your research into where to buy a pug puppy from if adopting a pug is not an option for you. Start here with the truth about pug puppies and backyard breeding as well as why you should never buy pug puppies from backyard breeders or puppy farmers. Pugs have become a highly sort after breed of dog in recent years. The cost of buying a pug puppy has gone from $1000 (AUD) to anywhere from $3000 to $5000 (AUD) here in Australia. And you have waiting lists to be able to get your own pug puppy. But that is from a reputable breeder. Reputable breeders are not in breeding to make loads of money. So the high cost of a pug puppy from a reputable breeder is because they pour a lot of money into caring for the parents and puppies when they arrive. There are lots of expenses that go with breeding, especially vet care for both the parents and the puppies. So when you find a pug puppy that is considerably cheaper than a reputable breeder, the chances are high that the breeder is a backyard breeder or puppy farmer and only in it for the money. They will spend as little as possible in the care of the parents and the puppies all in order to make some money. How do you know someone is a reputable breeder you may ask? They will know the bloodline of the pug puppy you are buying, they will show you both parents, they will be concerned about whether your puppy develops any health problems in the future, they will be registered with the Breeds state authority and hopefully also be able to provide you with papers that detail who the puppies parents and parents parents are. Why is this important you might now ask? Read on….. Nose roll reduction and removal of left eye due to entropion eye. One of the most important aspects of breeding pugs is the genetic background of the parents. And not just the current puppies parents but the parents parents and all the way back into their family tree. The genetic background of a pug will determine if they live a long healthy life. Or if they will have a life of constant health problems that will be painful and very expensive for the owner. 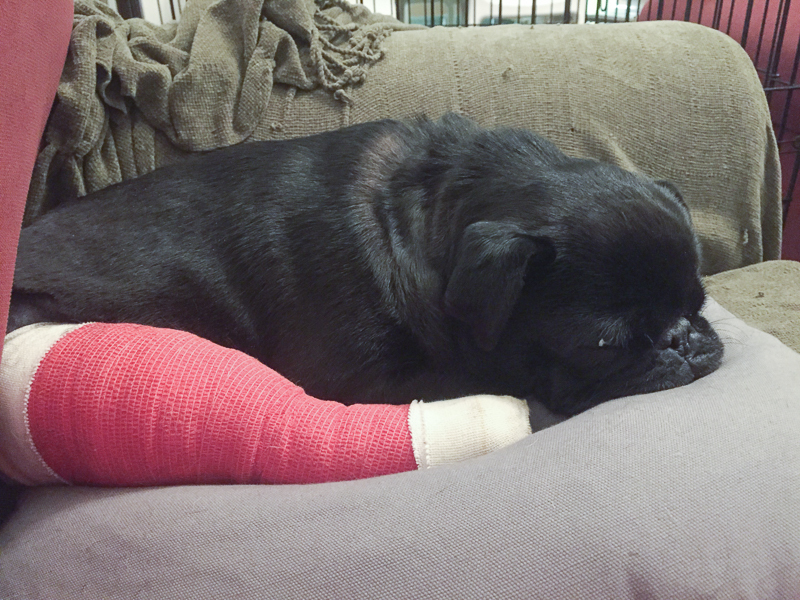 If the pug parent has any health problems, it will be passed onto the puppy. And should that puppy become a breeding dog and the owner doesn’t know of the parents health problems, then they will pass it onto the next generation of puppies. And the cycle continues. It’s not just one puppy either. It’ll be dozens. And considering backyard breeders and puppy farmers are all about the money, each pug could have several litters that are genetically flawed. These health problems can be bred out of the breed by simply identifying the health problems of the pug parent and removing them from the breeding life. Stop the bad genetics from being passed onto puppies. But it all starts from knowing the genetic history. And backyard Breeders and puppy farmers don’t. Nor do they concern themselves of it. They will breed with a pug regardless of its health or the future health of the puppies. There are health problems that we are aware of because there is a lot of attention around them for the brachycephalic breeds like the pug. I am sure you have heard of such concerns in the media of late. But there are many other genetic health concerns that are just as serious, if not more, that if a backyard breeder or puppy farmer does not breed for healthy pugs then the pug puppies will grow up to live painful lives. Elongated Soft Palate – the soft palate is the piece of tissue at the back of the mouth, just before the throat. The soft palate in a pug is too long because of their short head so it will often partially obstruct their airway cause breathing difficulties. Heavy breathing through the mouth, snorting and snoring are common symptoms of an elongated soft palate and may require surgery to so your pug doesn’t suffer. Hip Dysplasia – hip dysplasia is a deformity of the hip joint meaning that the ball of the thigh joint doesn’t fit into the hip socket properly. This causes a bunny hop in your pug’s run, pain and arthritis. This can be a genetic flaw in pugs from poor breeding or can be caused from having too many litters. Hip dysplasia can be treated with injections, supplements such as Turmeric Paste or Rose Hip, canine massage and in severe cases, surgery. 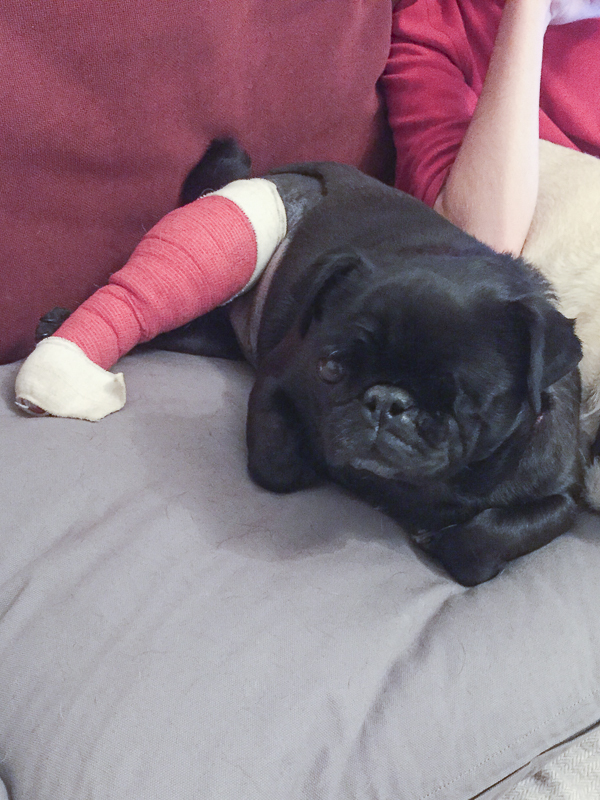 Luxating Patella – A luxating patella occurs when a pug’s knee cap moves out of its natural position. Symptoms of a luxating patella include limping, sudden loss of support in the leg, abnormal sitting position, all of which are usually occasionally visible. Luxating patellas can lead to osteoarthritis and in severe cases, cranial cruciate ligament damage. 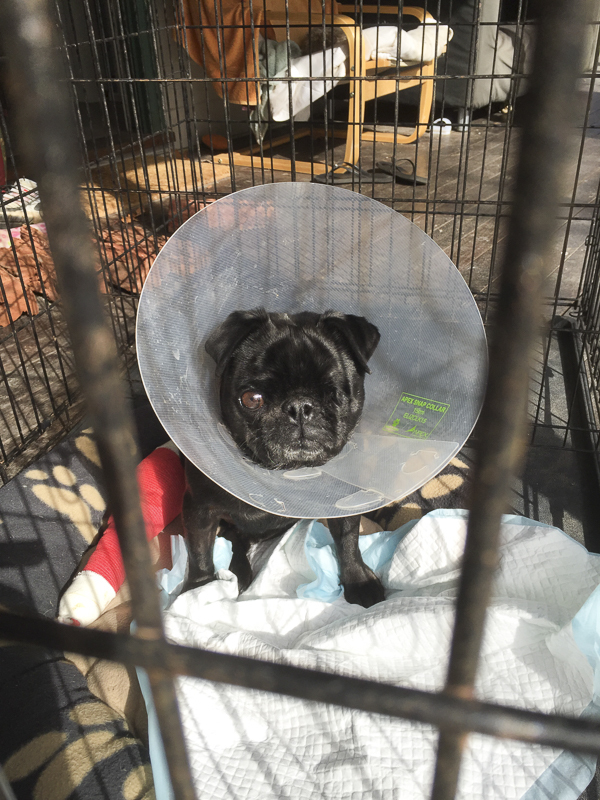 Some pugs can live with a luxating patella without any problems whilst others require surgery. Dry Eye – Dry eye is a genetic condition caused by the inadequate production of tears. This could be from injuries to the tear glands such as infections or trauma. Symptoms include developing a think yellowish discharge around the eyes. Infections occur often because of dry eye and can result in cornea irritation or ulceration and lead to loss of sight. Entropion – entropion is a condition where the eyelid, usually the bottom lid, folds inwards. The eyelashes continuously rub against the eye causing an irritation of the cornea resulting in an ulceration or perforation of the cornea. Entropion is a genetic condition and common in pugs so being aware of the signs is a must. Signs of entropic include excess tears and inflammation in the eye. 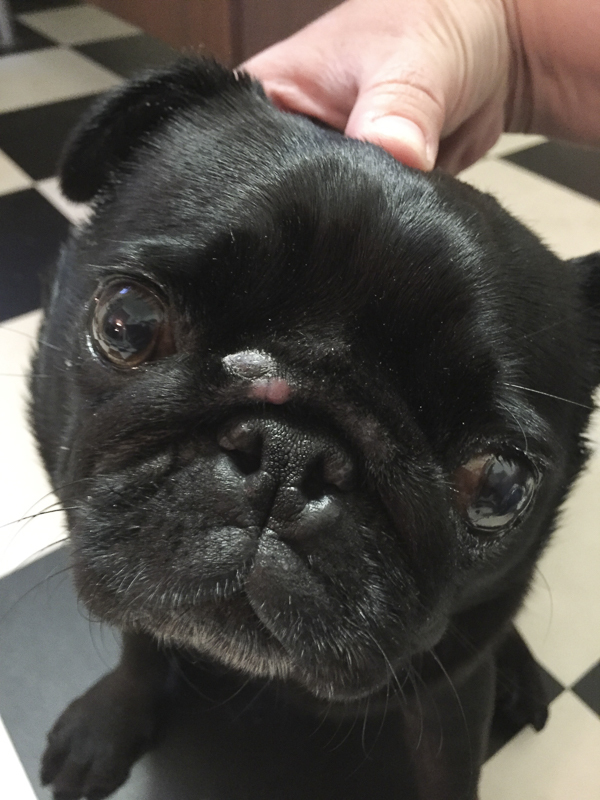 Brachycephalic Ocular Syndrome – Brachycephalic Ocular Syndrome is where the eyes of pugs become damaged as a result of your pug having bulging eyes. Your pugs bulging eyes occur from having shallow eye sockets and a flattened face. It can result in ulcers of the eyes that require treatment and in severe cases, eyes popping out, loss of sight and even the eye itself having to be removed. An unethical breeder does not care about the health & wellbeing of a dog. Just that they will produce as many puppies as possible so they can make money. 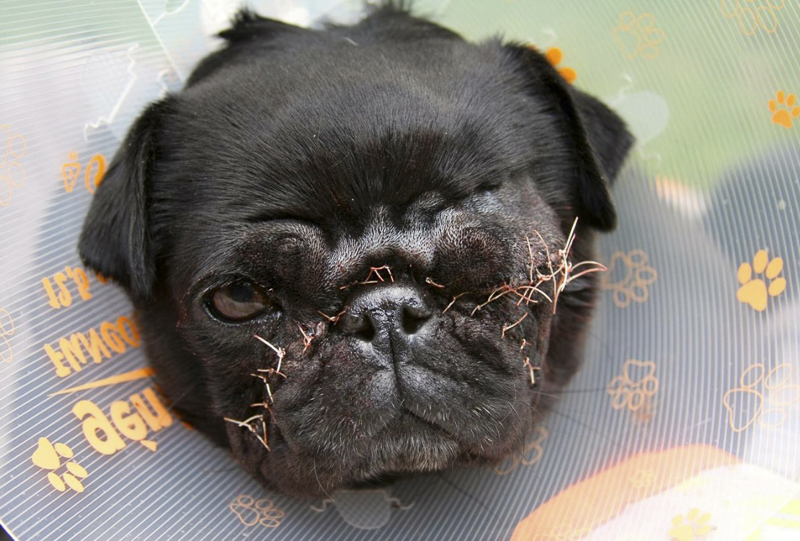 Quite often you will find that an unethical breeder is not only careless of the pugs’ genetic history but also the conditions in which their dogs’ and puppies’ will live. An unethical breeder will sell their puppies online through places like Gum Tree, PetLink, The Trading Post or Pet Stores and only show you the puppy for sale. They won’t show the parents (or show you only photos which could be downloaded online from anywhere!) or the conditions in which they live. If they did show you these things, you wouldn’t buy the puppy from them. You will find that unethical breeders will tend to overbreed pugs causing unnecessary and painful health problems such as hip dysplasia. They will leave any current medical issues untreated to the point that if they dog survives to be rescued, there will be medical bills in the thousands and tens of thousands of dollars. And a life that won’t be as easy as it should have been. The next time you consider getting a pug puppy, consider all of the options and do everything in your power by not buying a pug puppy from a backyard breeder or puppy farm. 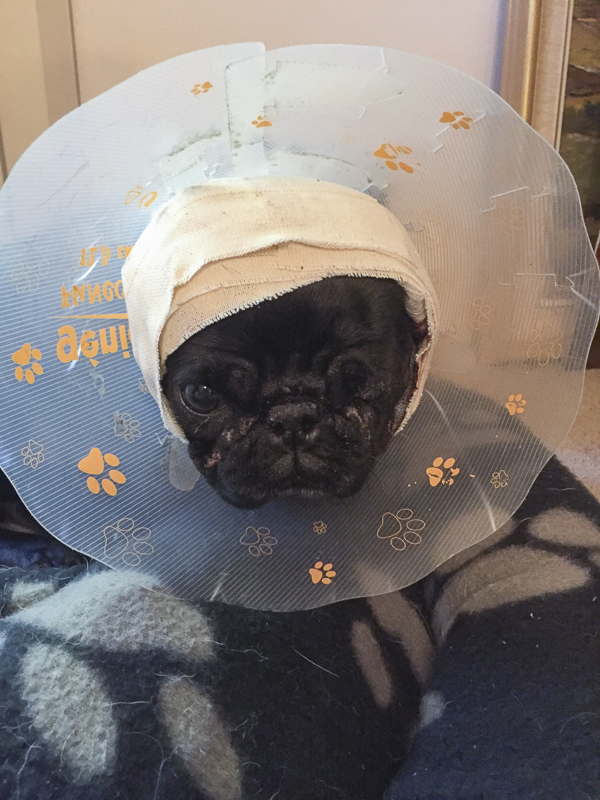 Pug puppies and backyard breeding don’t mix. Consider adopting or buying from an ethical breeder. We need to continue to advocate against this practice. No animal should have to suffer because of these money hungry backyard breeders. Unfortunately it is a sad situation.